First United Methodist Church has been well known in the community for many years for our children’s choir program. Under the direction of Amy Johnson, children are picked up from school, brought to the church where they spend time on the playground, have a snack and practice the music that they share on Sunday mornings and during special Wednesday night programs. This year a new dimension was added to this children’s program. 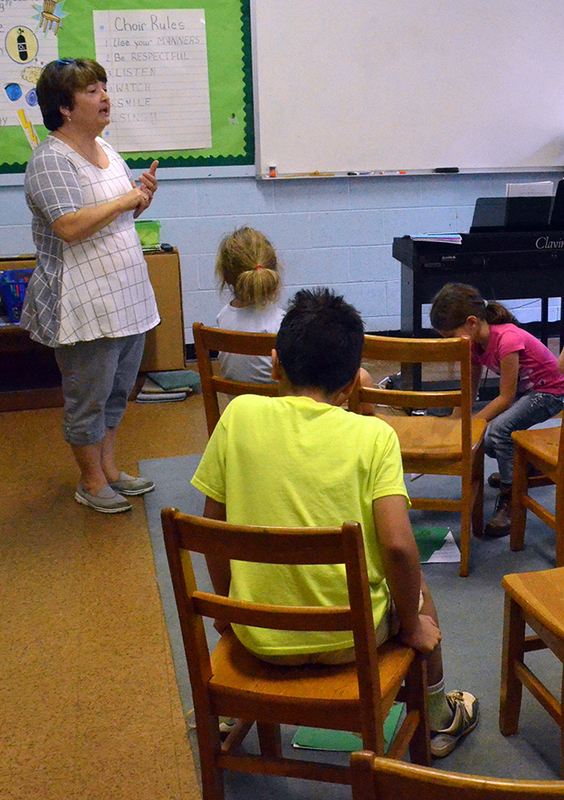 Director of Discipleship Cindy Furr is leading them in a Bible lesson each week. She teaches how the Bible was written and how to find scripture. During each session, the children read Bible stories and find connections with everyday life. One activity included the group sitting around a pretend campfire and reading a book about Native American storytelling, “Knots on a Counting Rope.” In that experience, the children learned how stories were told from generation to generation in the same way Bible stories were shared originally. They are beginning to learn Old Testament stories such as those relating to Moses. When Moses’ mother hid her son in the bulrushes along the riverbank and was asked by Pharoah’s daughter to help raise him, they learned about God’s presence. After hearing about God speaking to Moses through a burning bush, the children were asked if God had spoken to any of them. Some of the children replied ‘yes’. However, it wasn’t with words from a burning bush, but from their hearts. This summer Cindy and Amy talked about how the children could learn the Bible stories, especially since many of them did not attend Sunday School. The idea developed to use this mid-week time as an opportunity to teach while the children were available and present at choir. 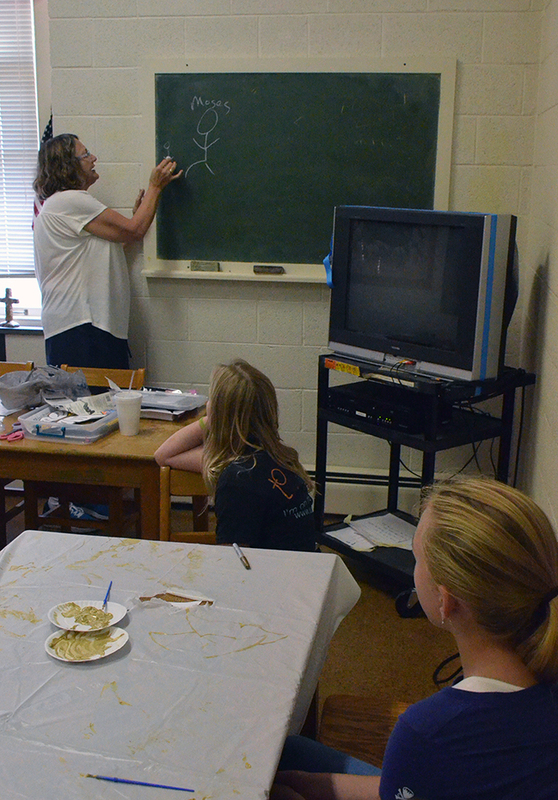 Left: Cindy Furr captures the attention of the children by telling the story of Moses. Right: Amy Johnson prepares the choir for rehearsal.